Having garnered positive buzz out of Toronto and Telluride, The Theory Of Everything is looking to make a huge splash this awards season. Acclaimed director James Marsh tackles the biopic that begins with Stephen Hawking and Jane Wilde’s college meet-cute and follows their lives through personal struggles and universal discoveries. Eddie Redmayne and Felicity Jones could be stiff competition at the Oscars in February. 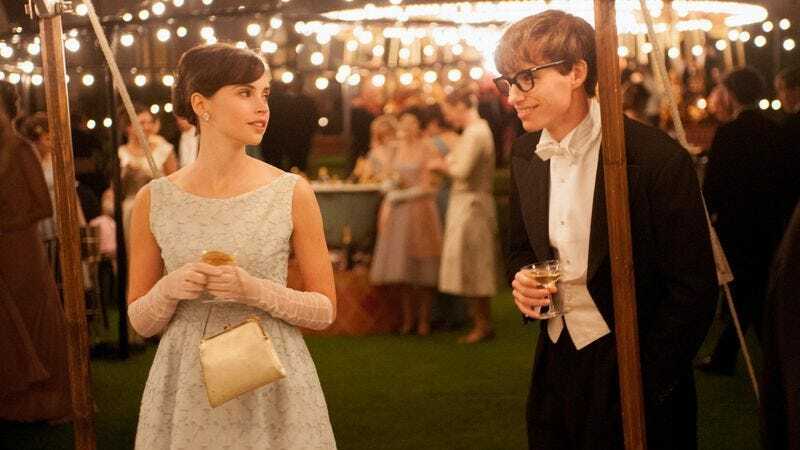 The Theory Of Everything opens in Chicago on November 14, but The A.V. Club has an opportunity for you to attend an early screening on November 10. For a chance to receive event passes simply follow the link here and enter your information. Remember, seating is first come, first serve, so arrive early! A synopsis and trailer for the film can be found below.